Slim design, premium materials.\nGet down to business with the beautifully designed, thin and light Ultrabook that features an optional 14" touchscreen display.\n\nThinner than ever:\nThe Latitude 14 has a starting weight of just 3.4 lb (1.54kg) with a 3-cell battery.\n\nElite and durable design:\nWith soft- touch paint finish and woven carbon fiber (on touch models) on the exterior, and a Tri-metal chassis magnesium alloy underneath the surface, the Latitude 7000 series is designed to survive challenging physical environments and MIL-STD 810G testing.\n\nControl at your fingertips:\nDell touch-enabled displays offer optimal viewing experience, touch sensitivity, brightness and durability with edge-to-edge Corning Gorilla Glass NBT.\n\nElite connectivity experience.\nAs with the previous generation, Dell Latitude 7000 Series is the only Ultrabook designed to be compatible with an existing laptop family docking station. The Latitude 12 7000 Series also features optional WiGig wireless docking technology (coming soon) and Intel wireless display (WiDi) technology, allowing everything on your laptop screen to be viewed simultaneously on a WiDi-enabled television or projector.\n\nPacked with performance.\nFeaturing the latest 5th Gen Intel Core processors, up to i7 vPro, along with Windows 8.1 Pro allow you to work on big jobs with ease.\n\n- Windows 7 Professional and Windows 8.1 with optional touchscreen capability allows you to multitask with a swipe, tap or drag of your fingers.\n- Count on fast, reliable performance from your choice of SSD or Solid-State Hybrid Drives.\n- Discrete graphics options for higher quality visual experience.\n- Collaborate effectively with an integrated HD webcam and microphone array.\n- A business-class ISO keyboard with a backlit option lets you work in low-light environments while a swappable battery keeps you powered up on the go.\n- Stay connected with a full suite of options including BT 4.0 (BLE), Dual band Wi-Fi, Miracast, Intel WiDi, Tri-band, Near Field Communications, and LTE.\n\nSecure. Manageable. Reliable. Latitude.\nThe world’s most secure business Ultrabook:\nDell Data Protection | Encryption protects your data across all endpoints, including external media and in public cloud storage. 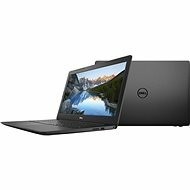 Stop advanced malware in its tracks with DDP | Protected Workspace and enable advanced authentication options with DDP | Security Tools.\n\nThe world’s most manageable business Ultrabook:\nUpdate once and update everywhere with Dell-unique Intel vPro capabilities for remote BIOS management and hard drive wipe, even when your device is powered off. Reduce time spent on manual and error-prone tasks through the Dell Client Command Suite, our free automation tools that plug into existing management solutions.\n\nOutstanding reliability you can trust:\nLatitude 12 7000 Series Ultrabook has been subjected to MIL-STD 810G testing to ensure durability under extreme conditions. A spill-proof keyboard protects against liquid damage while the premium Corning Gorilla Glass touch display offers an optimal viewing experience with better touch sensitivity, brightness and durability. Your device is also backed by enterprise-level Dell ProSupport 24x7 to minimize downtime, all the time. 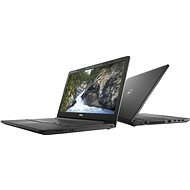 For shipping to other EU countries visit this page DELL Latitude E7450 + 452-11415. Chcete doručit zboží do Česka? 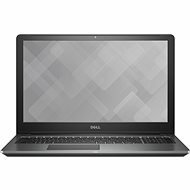 Prohlédněte si DELL Latitude E7450 + 452-11415. 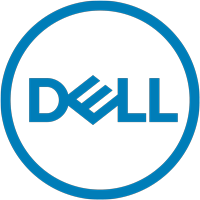 For shipping to the United Kingdom visit this page DELL Latitude E7450 + 452-11415.